Adrienne and Gene are so hot, they’re smokin’. We knew that after shooting their insano e-pic session, that their wedding would be filled with killer photographic opportunity and it was. We had such a ball working with the couple in the hallway of the school church, by the dumpster in the parking lot and finally, shoving O.G. Tommy’s Burgers into our faces in downtown Los Angeles. 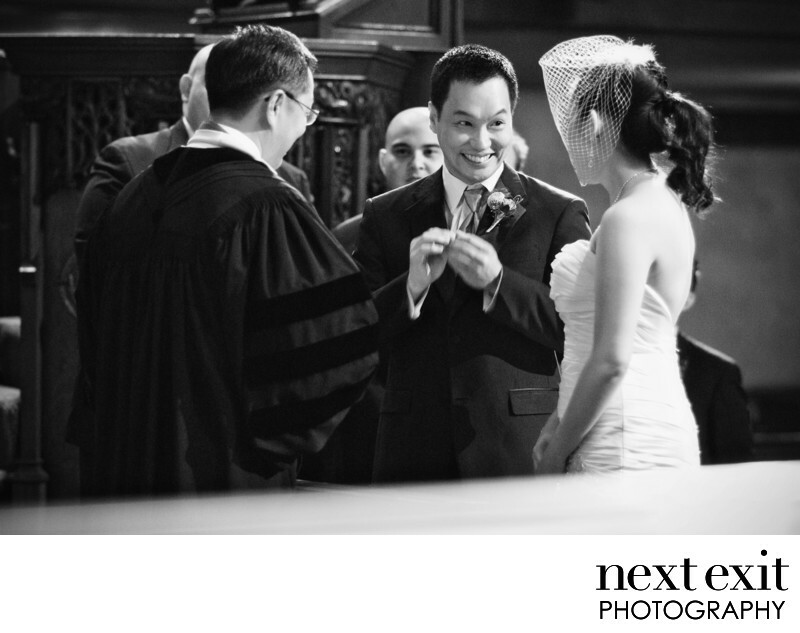 The wedding ceremony was held in one of the oldest churches in the city, The First Congregational Church of Los Angeles, founded in 1867! The Chinese banquet reception was held at one Adi’s and my favorite spots in town for Sunday morning dim sum, none other than the famous Empress Pavilion. We were blown away by all of the creative florals designed by by Michelle Brue at Flora By Fauna. P.S. You’ll note the fire truck photos on the more page" well, I won’t go into too much detail, but we had to call 911 when Gene cut his hand on a glass during the toasts!!! He was such a good sport!! Location: 540 S Commonwealth Ave, Los Angeles, CA 90020.